All the Upanisads are like a cow, and the milker of the cow is Sri Krsna, the son of Nanda; Arjuna is the calf, the beautiful nectar of the Gita is the milk, and the fortunate devotees of fine theistic intellect are the drinkers and enjoyers of that milk. In the Mahabharata we can trace out the history of the Gita as follows in the beginning of the millennium known as Treta yuga this science of the relationship with the Supreme was delivered by Vivasvan to Manu. Manu being the father of mankind give it to his son Maharaja Iksvaku the king of this earth planet and forefather of the Raghu dynasty in which Lord Ramachandra appeared. 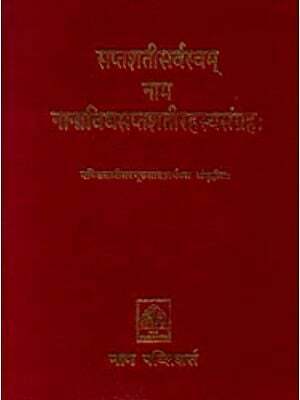 Therefore Bhagavad Gita existed in human society from the time of Maharaja Iksvaku. 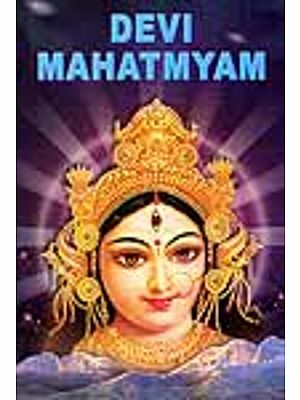 At the present moment we have just passed through five thousand years of the Kali yuga which lasts 432,000 years. Before this there was Dvapara yuga (800,000 years) and before this there was Treta Yuga (1,200,000 years). Thus some 2,005,000 years ago, Manu spoke the Bhagavad gita to his disciple and son Maharaja Iksvaku the king of this planet earth. The age of the current Manu is calculated to last some 305,300,000 years of which 120,400,000 have passed. Accepting that before the birth of Manu the Gita was spoken by the Lord to His disciple the sun god Vivasvan a rough estimate is that the Gita was spoken at least 120,400,000 years ago and in human society it has been existent for two million years. It was spoken by the lord again to Arjuna about five thousand years ago. That is the rough estimate of the history of the Gita according to the Gita itself and according to the version of the speaker Lord Sri Krishna. 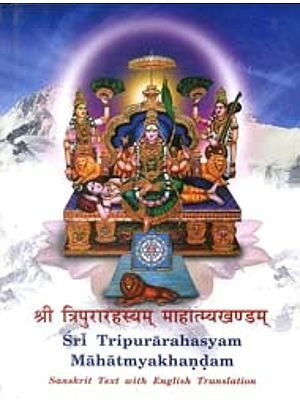 It was spoken to the sun god Vivasvan because he is a ksatriya and is the father of all ksatriyas who are descendants of the sun god or the Surya Vamsa Ksatriyas, Because Bhagavad-gita is as good as the Vedas being spoken by the supreme personality of Godhead this knowledge is apauruseya superhuman. Since the Vedic instructions are accepted as they are without human interpretation the Gita must therefore be accepted without mundane interpretations. The mundane wranglers may speculate on the Gita in their own ways but that is not Bhagavad-gita as it is. 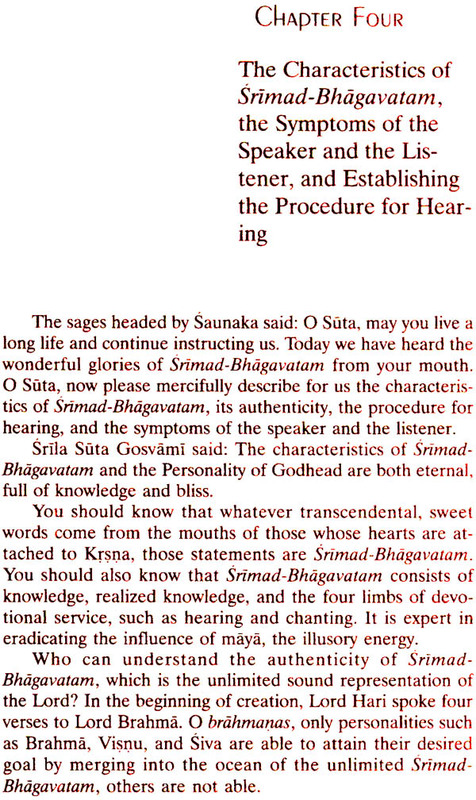 Therefore Bhagavad-gita has to be accepted as it is form the disciple succession and it is described herein that the Lord Spoke to the sun god the sun god spoke to his son Man and Manu spoke to his son Iksvaku. 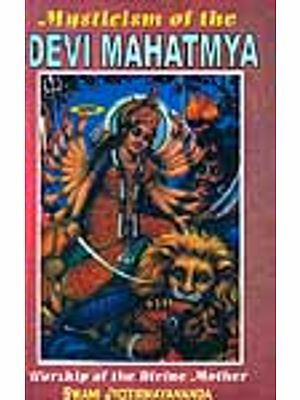 Bhagavad-gita is one of the sections of Mahabharata Bhism Parva and thus it is scripture, scriptures are narration about the supreme Lord or are words spoken by the supreme lord. 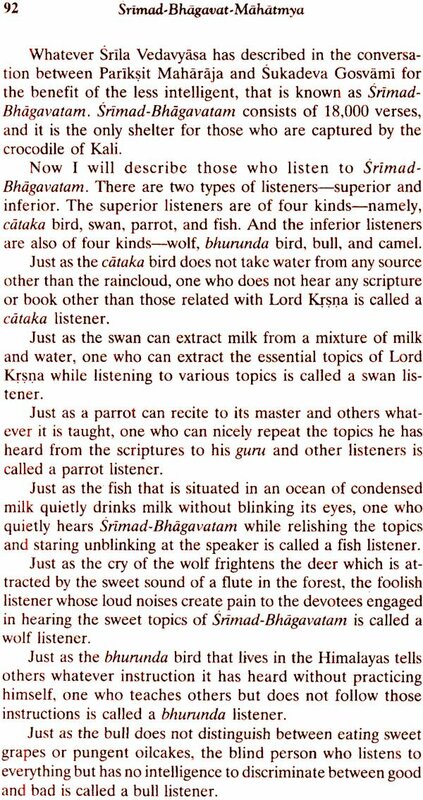 The Srimad Bhavatam is a beautiful narration of the pastimes of the supreme Lord and Bhagavad-gita is the son of the supreme Lord Krishna. Both are nondifferent from him. There is a story of a Brahman who regularly studied Bhagavad-gita. He was poor and he lived with his wife in a small cottage. 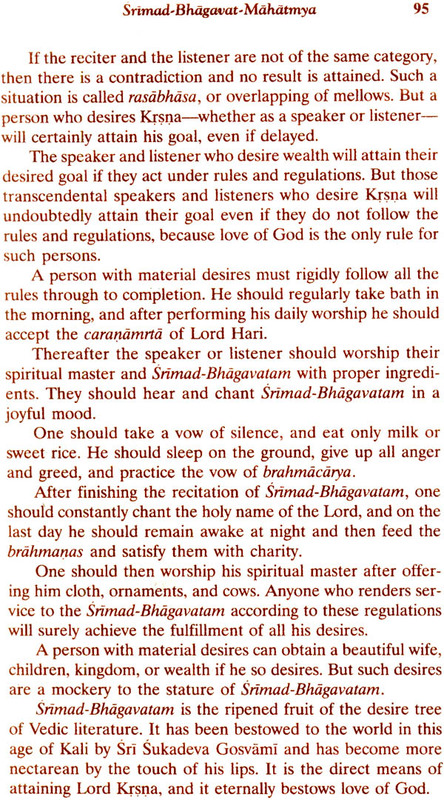 After daily studying Bhagavad-gita he would go to beg and in this way maintain himself and his wife. One day as he read Bhagavad-gita he came across a verse in the ninth chapter where Lord Krishna says yoga ksemam vahamy aham - I will personally carry and deliver the needs of my devotees. When he read this verse he came puzzled and doubtful and thought how is it that Bhagavan personally carries and delivers the needs of his devotees? He may inspire someone to carry out the needs of the devotees such as giving charity. 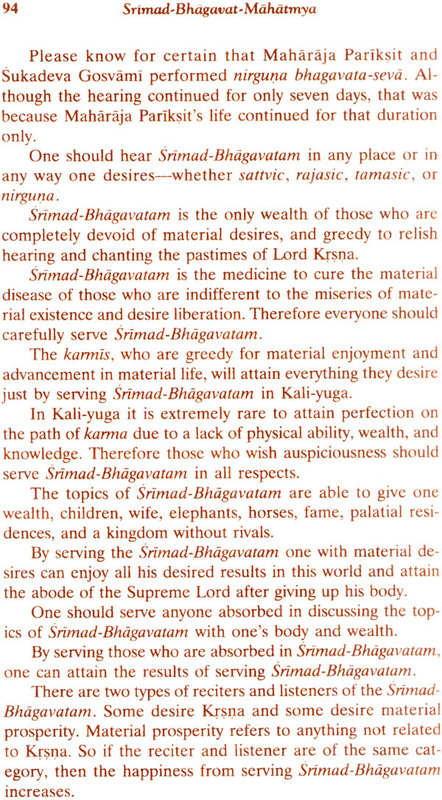 But that Bhagavan personally delivers the needs seems impossible. 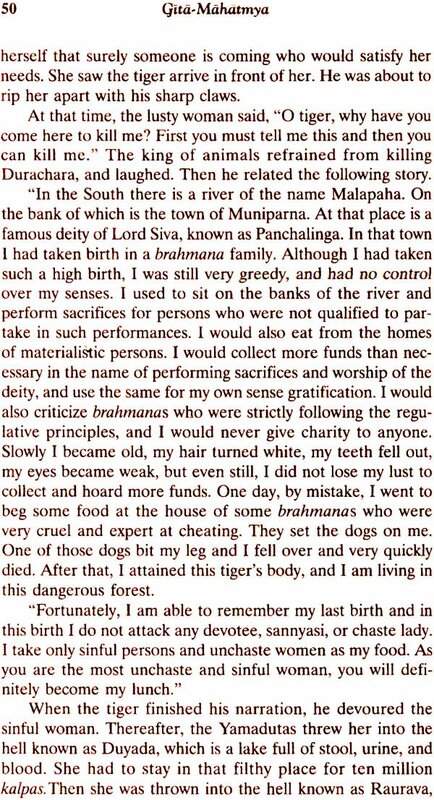 Reading the verse again and again the Brahmana could not believe it. He crossed it out with a red pen thinking it a mistake. Afterwards he went to do his daily begging. That day everyone offered him excuses rather than charity. Some said there was a death in the family others that their children were sick and thus they could not give alms that particularly day. Meanwhile back at the Brahmana’s house a young boy arrived and knocked on the door. The Brahmana’s wife answered and was surprised to find the boy carrying a bign load on his back. It contained varieties of foodstuffs like rice dhal, spices, oil, flour, and cooking utensils. The boy claimed to be a disciple of her husband who had sent him to deliver these goods to his house. The surprised wife told the boy that her husband had no disciples, so it was not possible that he had sent him with all these items. But the boy insisted repeating that her husband was his guru and had sent him to deliver these items to his house. The boy further told her that her husband had become disturbed with him for carrying the load so slowly and had thus beaten him. Indeed he raised his cloth and showed the Brahmana’s wife the marks on his back. She became surprised that her husband could be so cruel as to beat such a young and beautiful boy. She told him to site inside the house so she could cook something and offer him some prasada. 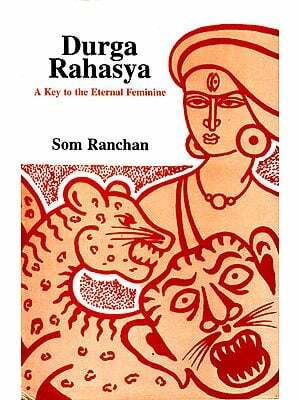 Later that day the Brahmana returned home empty handed. He was feeling very dejected because he and his wife would have to fast. As soon as his wife saw him she began scolding him for having made the young boy carry such a heavy load and for beating him for not carrying it swiftly. 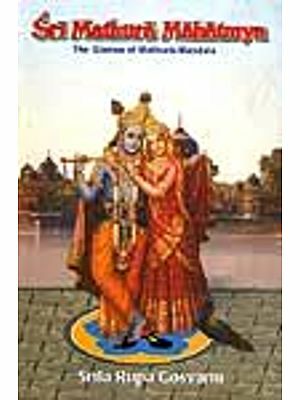 The Brahmana was confused by his wife’s behavior. She had never spoken to him like this before and he had no idea what she was talking about. He asked her to explain and she told him what happened. Hs said that the boy was still in the house but when the Brahamana searched for him he was nowhere to be found. Later as he sat to read his Bhagavad-Gita he found that the verse he had crossed out was again intact the red ink was gone. He started weeping realizing that the young boy was actually Krishna who had indeed come to his house to fulfill the pledge. He made in the Bhagavad-gita that he carries and delivers the needs of his devotees. 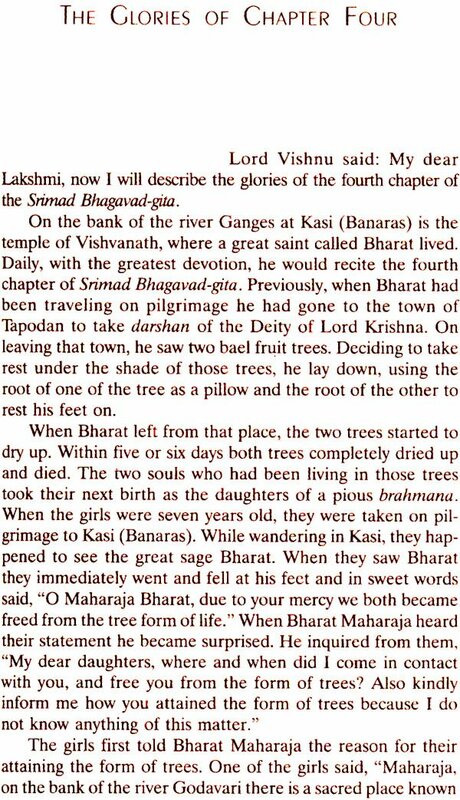 The Brahamana lamented that he was not as fortunate as his wife who had been able to see Krishna personally and he condemned himself for doubting the words of Bhagavad-gita.